Wachovia Financial Center is a two-acre development in the City of Miami, Florida, United States. It consists of a 765 feet (233 m) tall office skyscraper and a 15-story low-rise building. 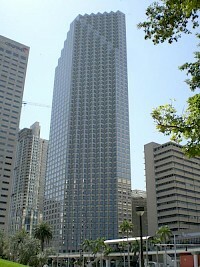 It was previously known as the Southeast Financial Center (1984-1992), the First Union Financial Center (1992-2003).